What are you doing on July 21? 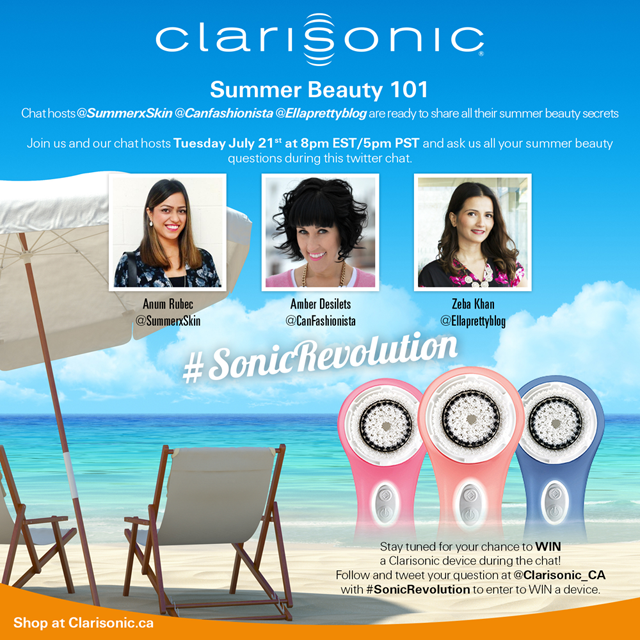 Join me as I host another #SonicRevolution Twitter Chat with my friends Clarisonic Canada! I had so much fun last year when I did the Valentine's Day Twitter Chat. 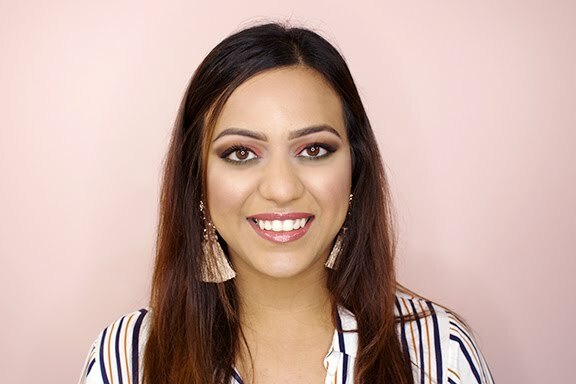 This time I will be co-hosting with my good friends Amber (Canadian Fashionista) and Zeba (Ella Pretty Blog) and we'll definitely have a blast talking about summer beauty. The #SonicRevolution Twitter Chat takes place on Tuesday, July 21, 2015 at 8 p.m. EST (a day before my birthday!) where you get to ask us all your summer-related questions. Remember to follow @Clarisonic_CA and the hashtag #SonicRevolution to engage with us and you'll have a chance to WIN a device. Can't wait to chat with you all next Tuesday!